22 April 2015 (4th Rajab 1436H) marked the inaugural session of Habib Ali Zainal Abidin bin Abu Bakar Al-Hamid’s monthly lessons in Singapore and it is only appropriate that Majlis Al-Muwasolah Singapura includes a post covering his profile. Habib Ali Zainal Abidin bin Abu Bakar Al-Hamid was born on Friday, 12 April 1974, after the Jumaah prayers in the village of Bondowoso, East Java, Indonesia. He is the second of six children. Habib Ali comes from a modest family. His home village has many traditional Islamic scholars and an Islamic seminary. Habib Ali embarked on the journey to seek Islamic knowledge in his home village and elsewhere in Indonesia at a young age. At the age of 21, with the blessings of his father, Habib Ali furthered his studies in the city of Tarim, Hadramawt, Yemen. Therein, Al-Habib studied at the feet of scholars including Ad-Dai ilaAllah Al-Allamah Al-Habib Umar bin Hafidz (the Dean and Founder of Dar Al-Mustafa Institute for Islamic Sciences), Ad-Dai ilaAllah Al-Allamah Al-Habib Ali Mashhur bin Hafiz (the chief Mufti of Tarim), Ad-Dai ilaAllah Al-Allamah Al-Habib Salim bin Abdullah Ash-Shatiri (the current Dean of Rubat Tarim), Al-Marhum Al-Habib Hasan bin Abdullah Ash-Shatiri (the former Dean of Rubat Tarim), Al-Habib Abdullah Bin Shihab, Habib Abdul Qadir Jailani Al-Mashhur, Habib Abdullah bin Shaykh Al-Aydarus, Al-Marhum Ash-Shaykh Fadal Ba Fadal (Mufti Tarim), Al-Habib Musa Al-Kazim bin Ja’afar As-Seggaf, Ash-Shaykh Umar bin Husain Al-Khatib, Ash-Shaykh Umar bin Abu Bakar Al-Khatib, Al-Habib Ali bin Abdul Rahman Al-Jufri. Al-Habib Ali is one of the earliest graduates of Dar Al-Mustafa, having enrolled therein soon after its founding by Al-Habib Umar bin Hafiz. 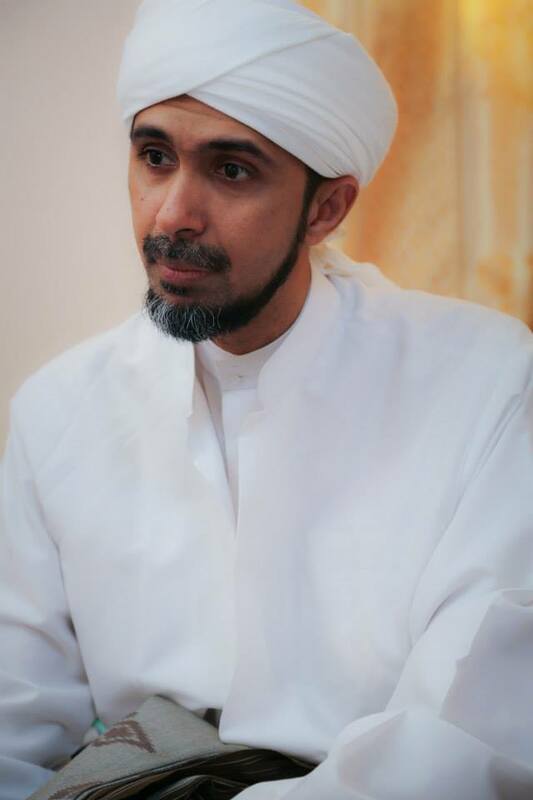 Habib Ali, like most of his contemporaries at Dar Al-Mustafa, had received personalised guidance from Sayyidil-Habib Umar and his brother Al-Habib Ali Mashhur whilst in Tarim. After his time at Dar Al-Mustafa, Al-Habib Ali’s thirst for knowledge brought him to Egypt where he spent 5 years at the famed Al-Azhar University. Besides his studies at university, Al-Habib had also studied at the feet of the likes of Dr. Abdul Badi’ Abu Hashim, Dr. Saad Jawish, Dr. Ali Jum’ah and Dr. Muhammad Jibril. Whilst a student in Egypt, Habib Ali continued his da’wah work by teaching and tutoring students from various countries. Today, Habib Ali is a major figure in da’wah. He is scholar-in-resident of Majlis Ta’lim Darul Murtadza, Jalsah Ithnayn and other study sessions in Malaysia and of Majlis Al-Hadyun Nabawi in Singapore. Majlis Al-Muwasolah Singapura wishes Habib Ali success in his dakwah mission and in every other noble mission he embarks on. Alhamdulillah. By the Mercy and Grace of Allah, we are now in Rajab Al-Khair. This used to be the practice at several mosques in Singapore as well. May Allah help us rekindle this practice. 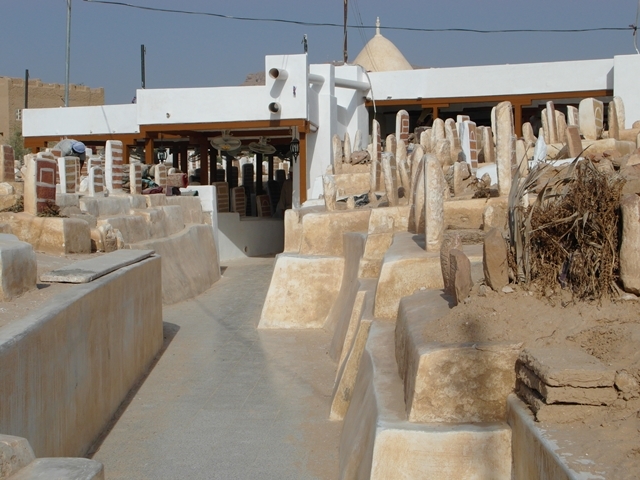 Zanbal Cemetary is the resting place of many great Ahl al-Bayt (descendants) of our Prophet Muhammad saw. But beyond being just a cemetery, Zanbal is a sanctuary for hearts seeking spiritual illumination to look to the awliya’ (saints) who are already in the hadrah (divine presence) of Allah swt. Anyone seeking calmness will find it as he walks through this blessed graveyard and it is no exaggeration that there is no other cemetery in the world, physically or spiritually, quite like Zanbal. 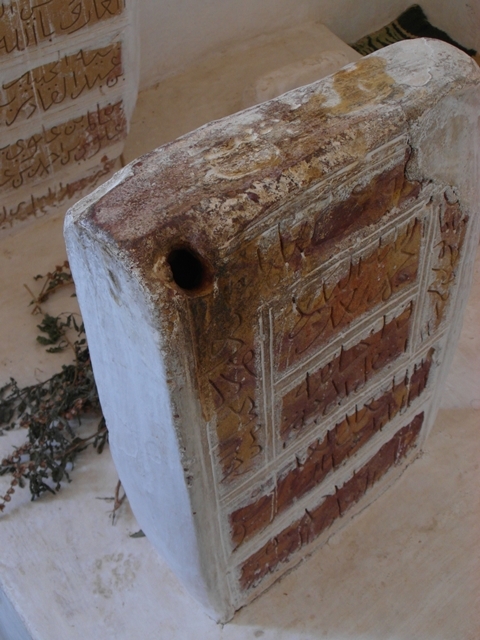 Every wali buried in Zanbal brings about a unique hal (spiritual state) in the visitor and every visitor, depending on his connection to the awliya’ resting therein, will be able to feel the change in his ahwal (spiritual states) from the moment he steps through the main gates of Zanbal and begins reciting the Prophetic supplications and Quranic verses whilst straddling towards the main saqifah (the roofed parts of the cemetery) of the key luminaries of the Ahl al-Bayt from Aal Ba’alawi (the family of Ba’alawi). 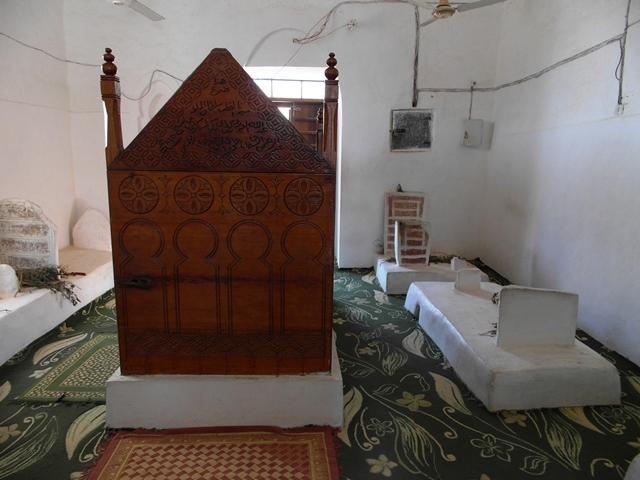 It is from amongst the etiquettes of visiting Zanbal that the visitor first greets Sayyidina Al-Faqih Al-Muqaddam Muhammad bin Ali Ba’alawi in the main saqifah before moving on to visit other Ba’alawi notables. Thereafter, the visitor moves on to greet the other luminaries including Sayyidina al-Muqaddam ath-Thani al-Imam Abdul Rahman As-Seggaf, within the main saqifah, before moving to the other awliya’ elsewhere in Zanbal. Admin’s Note: Majlis Al-Muwasolah Singapura will post on the visitation order in due course inshaAllah. After concluding the greetings and salutations at the main saqifah, the visitor walks towards Qubbah Al-Aydarus (The Dome of the Family of Al-Aydarus). Henceforth, one begins to attain a sense of the famed generosity of the great Al-Aydarus luminaries oozing through one as one walks towards and then stands under Qubbah al-Aydarus. Sayyidina al-Imam Abdullah Al-Aydarus Al-Akbar (the first al-Aydarus) and Habib Ja’afar bin Ahmad Al-Aydarus, father of the late, great wali Habib Ali bin Ja’afar Al-Aydarus of Batu Pahat, Malaysia, are amongst those buried under the great dome. Upon concluding the customary greetings and salutations at Qubbah Al-Aydarus, as one starts peeking out through the western door of the dome, one can start to glimpse at the maqam of the great Imam, Qutbul-Irshad wa Ghawthul-Ibaad wal-Bilad, al-Habib Abdullah bin Alawi bin Muhammad Al-Haddad. Admin’s Note: Majlis Al-Muwasolah Singapura will work towards a post on Imam Al-Haddad in due course insha Allah. Words do not and cannot do justice in describing the feeling Zanbal visitors go through. For this faqeer, the Zanbal experience was a plateau of states building up as this faqeer walked through the main gates of Zanbal, through the walkways to greet Sayyidina al-Faqih al-Muqaddam then through the walkways to the Qubbah Al-Aydarus. 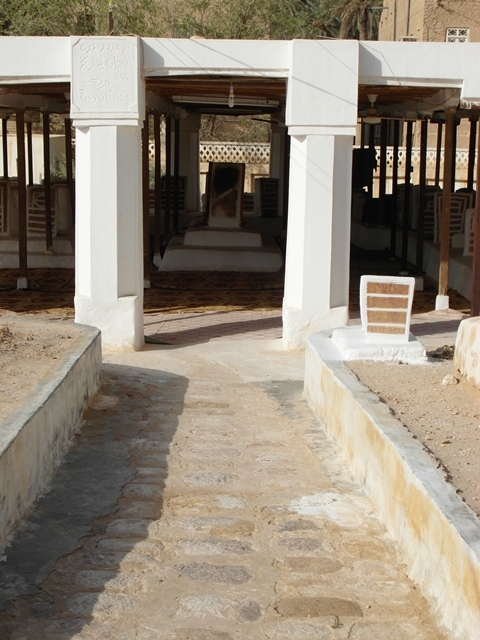 It peaked at the burial grounds of the one through whom this faqeer first knew Tarim and Hadramawt, Qutbul-Irshad wa Ghawthul-Ibaad wal-Bilad, al-Habib Abdullah bin Alawi bin Muhammad Al-Haddad, the composer and arranger of the many oft recited litanies and poems in the Nusantara and author of a range of books. Recite the Fatihah to hadrah of our Prophet Muhammad sallaAllahu alayhi wasallam.